Some of the Crowe staff at the finish line of the 2018 Great Dublin Bike Ride. 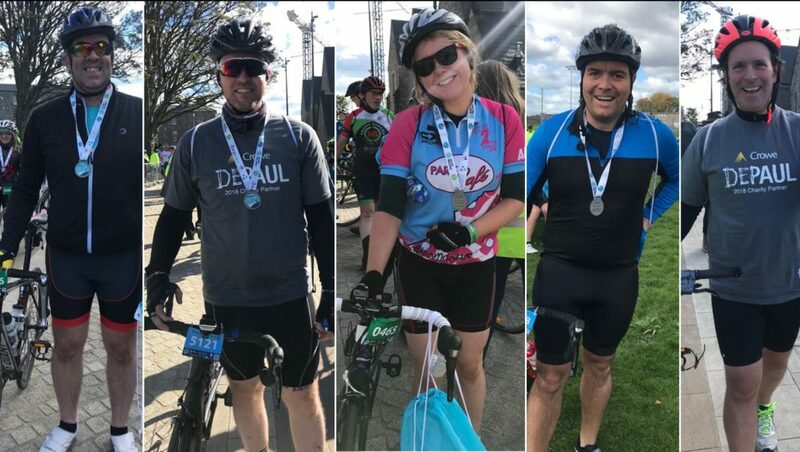 Congratulations to all the staff who took part in the 2018 Great Dublin Bike Ride to help raise funds for our 2018 charity partner Depaul. Our staff are volunteering and raising funds for local Depaul Centre on Little Britain Street, Dublin 1. Staff choose the local Depaul centre after supporting their Christmas Presents for All appeal over the last two years. 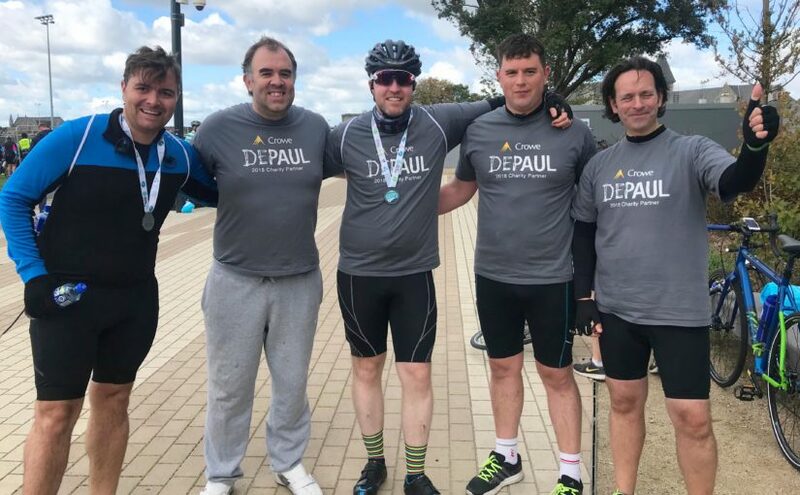 Staff have been busy fundraising by taking part in the 2018 Woman’s Mini Marathon in June and the Depaul annual Raft Race against Homelessness which took place earlier this month in Grand Canal Dock as well as participating in last weekend’s Great Dublin Bike Ride. A wide range of staff also volunteered their personal time over the summer months to design and paint a range of murals and special artworks throughout the Little Britain Street hostel. These artworks will be co-developed with the services users of the hostel to draw from their personal memories and experiences. Find out how you can help people who are homeless or at risk of homelessness, visit the Depaul website.